Tour around Lisbon | ESCKAZ.com live from Lisbon! 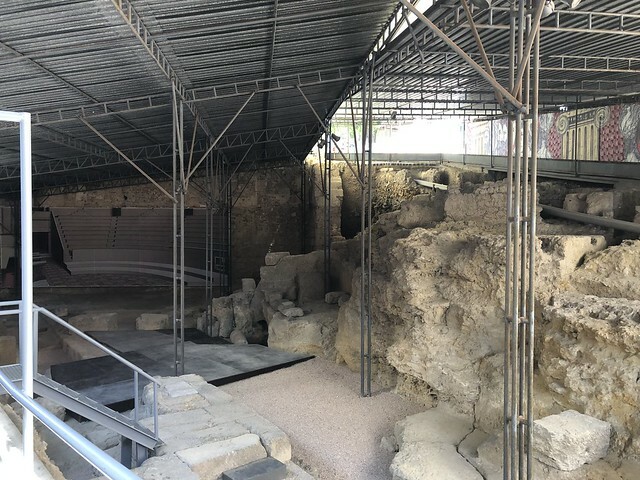 "Built on the site where St. Anthony was born in 1195, this church is dedicated to the saint known as a matchmaker and patron saint for the recovery of lost items. He has always been the most popular saint in Lisbon, and his statue stands outside the church. Originally built in the 1400s, the current church dates from 1757, due to the post-1755 earthquake reconstruction. 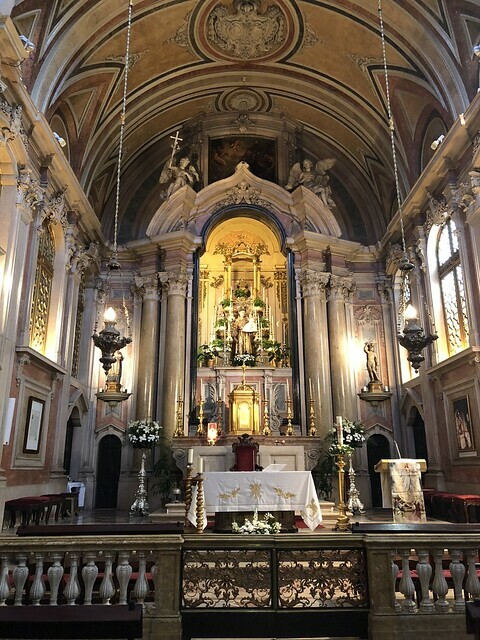 The façade combines the baroque and neoclassical styles, as does the interior, which also features paintings by 18th-century artist Pedro Alexandrino de Carvalho and the remains of St. Justina, transferred from Rome in 1777 by Pope Pius VI. In the crypt, where St. Anthony was born, you can see a contemporary tile panel illustrating a visit of Pope John Paul II to the site in 1982. Next to the church is a small museum that's one of the branches of the Lisbon Museum. It presents a collection of paintings, sculpture, and manuscripts that evoke the popular worship of the saint"
In need of a boy or girlfriend or better partner? Then the tradition surrounding the statue of Saint Anthony is for you! The tradition is that you will find a new (or better!) 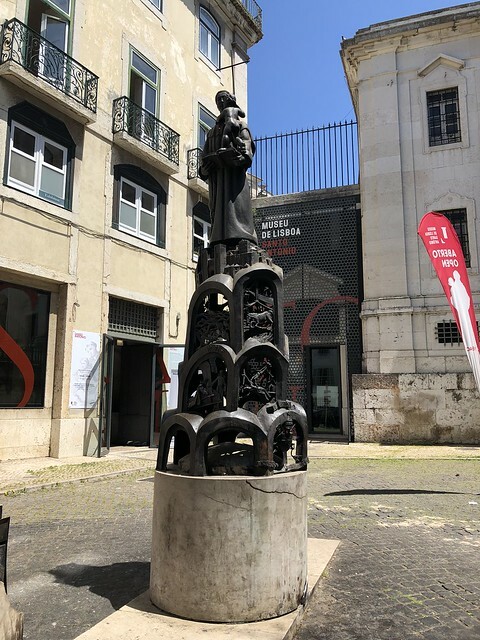 partner if you are able to throw and land a coin in the book of Saint Anthony on the statue in front of his church, the Igreja Santo Antonio. This tradition originates that Saint Anthony is the patron saint of lovers (and Lisbon) and this church was constructed on his birth place. A second mistake was that we took a wrong tram and instead of the next planned location, got to Prazeres Cemetery. We lost quite a few time - but the visit to cemetery was worth it - amazing and so beautiful place. 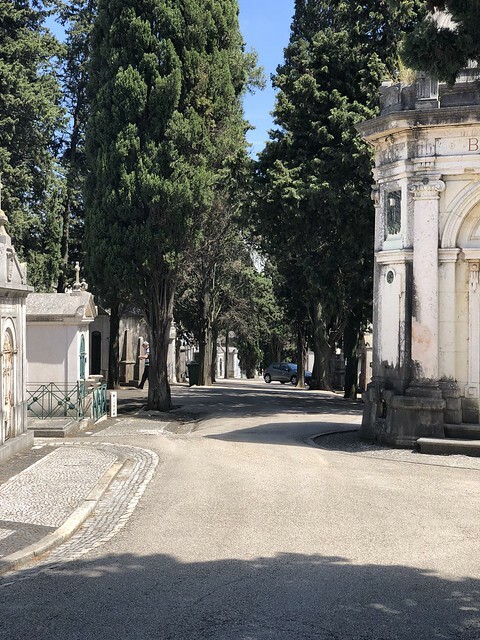 "If you want to see several unique works of art, in the only open-air museum in Lisbon, then the Prazeres Cemetery and its museological pieces is the place to go. At the end of the no. 28 tram line, you’ll find a place housing the largest and oldest collection of cypresses in the Iberian peninsula. 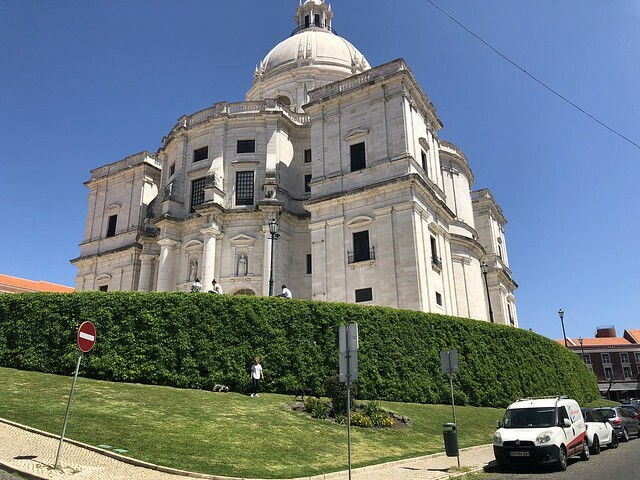 This is where the most important families in Lisbon hired architects, draughtsmen, sculptors and other artists to create their mausoleums and tombs. With the graves of countless famous figures and a variety of paths to follow, you can visit by yourself or join a guided tour. This 19th-century cemetery is impressive for its size and location, with an amazing view of Lisbon, the bridge and the river. Also visit the chapel, where you can see a collection of objects dedicated to the funeral ceremony, as well as an old autopsy room. 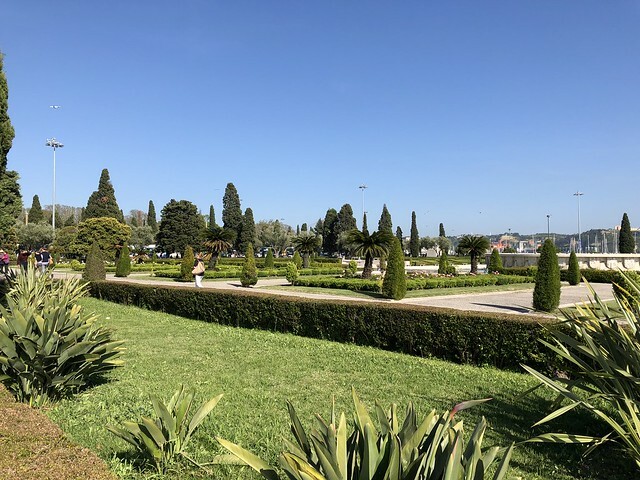 Come and discover the quietest place in Lisbon"
After that we finally were able to reroute ourselves to the Monastery of Jerónimos. Lifehack - get your ticket at Archeology museum which is to the left in the same building. If you pay - you get 2 tickets for 12 Euros, with Lisboa Card you get both for free, and then you can skip the huge queue in the monastery. While located in amazing building, insides are hugely overrated. There are couple of exibitions and beautiful church, but mostly you get to see just the building itself. 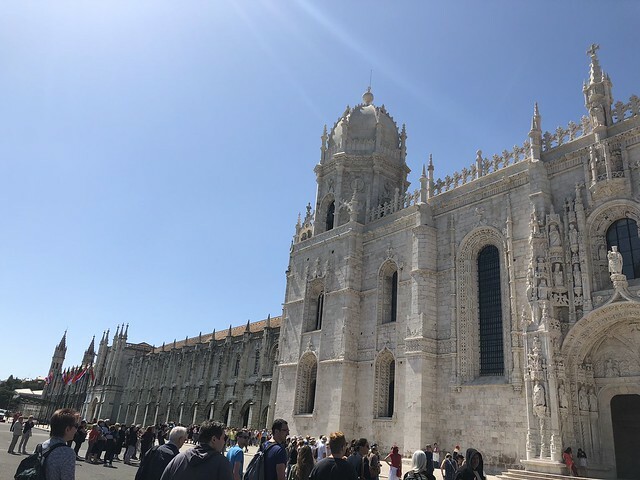 "The Jerónimos Monastery, also called Hieronymites Monastery, is along with the Tower of Belém, one of the most visited sites in Lisbon. UNESCO declared it a World Heritage Site in 1983. The religious edifice was designed by the Portuguese architect Diogo de Boitaca to commemorate the return of Vasco da Gama from India. The construction began on 6 January 1501 and wasn’t completed until the sixteenth century. The Church of Santa Maria is unique in the world. The temple only has one nave that is held up by six beautifully sculpted columns and the church seems to go on forever. The Church houses the tombs of Vasco da Gama and Luís de Camões, a Portuguese poet and writer. When you explore the cloister, you’ll see the church of Santa Maria from above and the tomb of Fernando Pessoa, a renowned Portuguese writer and poet"
And we also paid our visit to the Acheology museum. Every year I try to visit the museum which hosts Egyptology collection, and this one did not disappoint, even though leaning heavier towards Gods of Egypts rather than Pharaohs. "The National Archaeology Museum (Museu Nacional de Arqueologia) of Lisbon contains the most impressive archaeological collection in Portugal. It was founded in 1893 by the renowned archaeologist José Leite de Vasconcelos and features artefacts that date from the Palaeolithic to the Middle Ages. There are beautiful objects including precious stones, items made of gold and earthenware pots, but we particularly like the Egyptian and Islamic halls. Egyptian hall features several mummies of people and animals and a collection of impressive old photos"
All in all, this was quite an interesting day and thanks to organizers for providing us Lisboa cards and this opportunity to visit some of the interesting landmarks.